I’m usually playing one or two console/PC games and one portable game at any given time, so I needed a new walkabout title after finishing Spirit Camera. Somehow, Project Diva f 2nd leapt off the shelf and wound up in my Vita’s card slot. I am weak and easily fall in to old habits, and having a Miku game sitting around unplayed was too much of a temptation to resist. 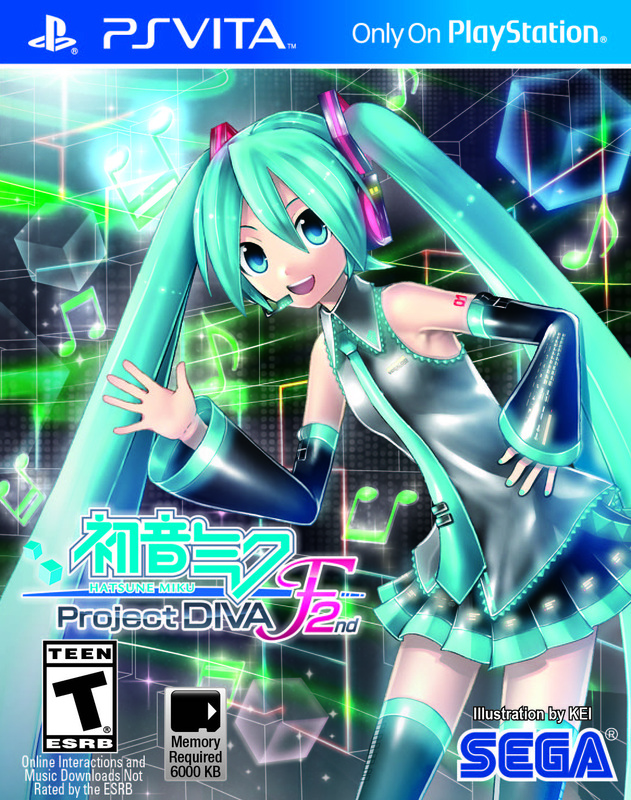 This is my fifth Project Diva rhythm game on Sony portable hardware, and the series fills a unique role for me – it’s the only series where I start each entry with the intent of playing it on the harder difficulty levels, rather than being satisfied with the entry-level settings. …and then I started blowing songs, even on Normal. In the course of clearing the 40 base songs, I had 20 failed songs out of 60 attempts. There are some note charts where the markers just don’t seem like they’re following the music, some songs where the tempo just skews all over the place, and WAY too many sequences using the touch screen instead of buttons to hit notes. I’ll be going through the songs on Normal a couple of times again before I’m ready for Hard, I think. I may even do a quick pass on Easy so I can actually see the videos behind the note markers. I’m still loving it – it looks fantastic, and it brings back a ton of songs from the PSP games that were sadly absent in the first Vita game – but there’s no way I could recommend it to anyone who hasn’t had a lot of time with at least one previous game in the series. It looks like Sega will be giving Miku a break after this release. The US still has the 3DS port to look forward to in September, but that’s just an enhanced version of a couple of 3DS games that are over a year old at this point. They are releasing Miracle Girls Festival this winter, which is a game that uses the same rhythm game engine but ditches the vocaloids for an assortment of cute anime characters. Somehow, I doubt this will come over to the west – but, in a world where I can pick Hyperdimension Neptunia games off the shelf at my local Fred Meyer, I guess anything is possible. Just fyi—you can set the game to use the right analog nub for the star sections instead of the touchscreen. Normally I’d just use the touch controls, but the game was making me mad by not recognizing my inputs correctly. With the analog nub it’s super easy, though. I think they should have left out the star notes entirely, because they’re kinda lame.